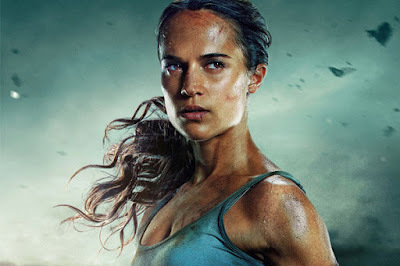 Alicia Vikander takes on the lead role of Lara Croft in the new Tomb Raider movie, a movie reboot based on the rebooted version of the video game (try to keep up). Video game movies get a bad rep, I agree there aren’t really any great one’s but there are some passable ones (Assassin’s Creed, Warcraft, Silent Hill, etc). So when the early critics reviews came out for Tomb Raider saying it was bad and it doesn’t break the norm, I wasn’t too surprised. Having watched it myself, what are my thoughts? Well, overall I enjoyed it. It definitely isn’t the best movie ever made, but it’s fine, a solid 3 star movie that’s just an easy watch. So technically it's still in the passable camp of video game movies, but probably one of the better ones. The story is fairly straight-forward and will be very familiar to any Tomb Raider fan, when Lara Croft is still a child, her father goes missing searching for an ancient artefact. Years later, Lara finds some clues that set her out on a journey to find out what happened to him and leads her to an island where the real adventure begins. I was a little wary of the films quality to begin with, the intro scene and dialogue is a bit clunky, but once Lara sets out on her adventure and arrives in Hong Kong it all feels right. In terms of tone and a more realistic take on Lara Croft, the film very much takes its lead from the Tomb Raider reboot game that was released in 2013. A game that I absolutely love, primarily because it took the set-piece style action of the Uncharted series and put it in a Tomb Raider game. Talking of set-pieces, I was really impressed with some of the action sequences, a couple of which are taken directly from the game itself. 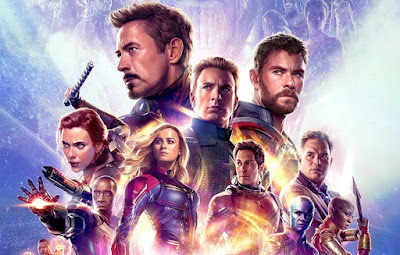 It’s a credit to how well the games did the cinematics, that the movie feels exactly like the game (or is it the game feels like the movie?). The first great sequence is the ship-wreck scene and the 2nd sees Lara climbing through a rusted airplane on the edge of a waterfall. Vikander also does a fine job of portraying Lara Croft, again this is very much the reboot "realistic" version of the character, and not the big breasted 90s super-woman take. Supporting cast are all serviceable, but to be honest no one really stands out. Finally, I was surprised at some of violence in the film for a 12A, although it’s fairly common for people to get shot in action / adventure films it’s rare to see blood spurts as they got shot. There’s also a few impaling’s that were pretty visceral. I’m not complaining, I was just surprised to see it in a 12A. Overall I enjoyed Tomb Raider, it’s an easy watch with some good action sequences.